Courtesy of WOWSA, Odaiba Marine Park, Tokyo, Japan. 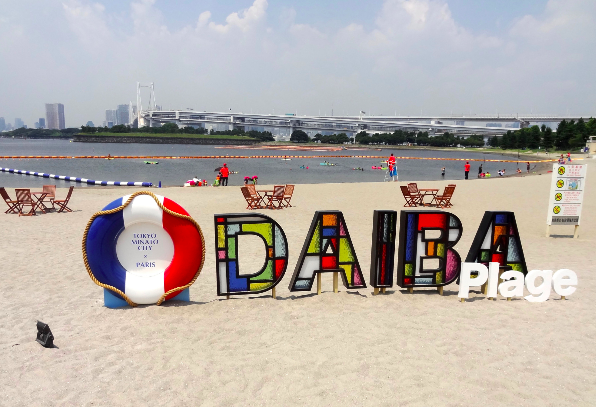 The Japan Times wrote an interesting local perspective of what the Olympic 10 km marathon swim finalists may face in Odaiba Marine Park at the 2020 Tokyo Olympics: see here. Currently, swimmers who wish to swim in Odaiba Marine Park are asked to sign a waiver listing 23 rules to observe, including Rule No. 9: "When the yellow flag is out in the venue, please refrain from swimming with your face inside the water."